Westminster, MD, Friday, January 18, 2019 – The National Weather Service is forecasting wintry weather in Carroll County on Sunday, January 20, along with frigid temperatures and wind chills below zero on Martin Luther King, Jr. Day, Monday, January 21. 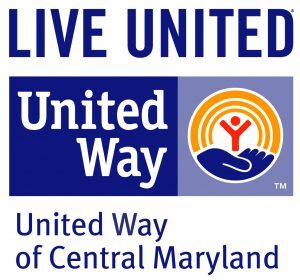 Due to this anticipated cold weather, Human Services Programs (HSP) of Carroll County, Inc. will be expanding the hours of the Cold Weather Shelter at 127 Stoner Avenue, Westminster on Sunday. The Cold Weather Shelter will open at its regular time of 7:00 PM on Saturday, January 19 and remain open until 8:00 AM on Monday, January 21. HSP will operate the Cold Weather Shelter at 127 Stoner Avenue, Westminster as a warming center from 8:00 AM until 7:00 PM on Martin Luther King, Jr. Day, Monday, January 21. Residents who are vulnerable to extreme cold or who do not have sufficient heat in their homes are encouraged to seek warmth at the Cold Weather Shelter throughout the day on Monday. The Cold Weather Shelter will return to its regular, daily operating hours of 7:00 PM until 8:00 AM beginning on Monday evening. Minimize outside activities, particularly among the elderly and very young. Check on family members and neighbors who may be more vulnerable to the cold. Pets are also sensitive to the cold; remember to consider your pets’ needs when planning outside activities. Dress in several layers of loose-fitting, lightweight clothing rather than a single layer of heavy clothing. Wear a hat and mittens/gloves to stay warmer. Be aware of frostbite. If a part of the body loses feeling and the skin feels waxy or looks white or grey, warm gently and seek medical help. Watch out for hypothermia. Shivering, memory loss, confusion, slurred speech, and drowsiness are all warning signs. Seek medical attention for signs of hypothermia. Use caution when heating your home. For tips on how to safely use space heaters, fireplaces, and woodstoves, refer to the U.S. Fire Administration’s home heating safety handout. If using a space heater, be aware of the possibility of carbon monoxide poisoning. For more information on carbon monoxide poisoning visit the Centers for Disease Control and Prevention (CDC) website. For more information on local cold weather resources, including energy assistance, visit the Carroll County Health Department cold weather webpage or check out the Carroll County Health Department on Facebook. Information about the Cold Weather Shelter can be obtained by calling 410-871-4877. In times when overflow space is needed, HSP has partnered with the Westminster Rescue Mission to provide transportation to a limited number of alternative overnight accommodations.